If you read my The Back Up // Toner post then you'll know I recently made an Space NK order. I had £5 worth of NDuldge points that were expiring and I had to use them by a certain date. I may have also ordered another cleanser that I didn't really need, I still have a couple more to finish off, but that's for another post. The two items I wanted meant I was only £3 away from free delivery since they upped the total to £60. There was no way I wanted to pay £5 for postage but neither did I want to spend a further £20 on something else. After a quick browse of the sale I spotted this from Life Nk, a brand I don't really know much about, but is by the founder of SpaceNK, Nicky Kinnaird. I wasn't expecting much from it but I was happy to pay the £4.50 for it and get free delivery. 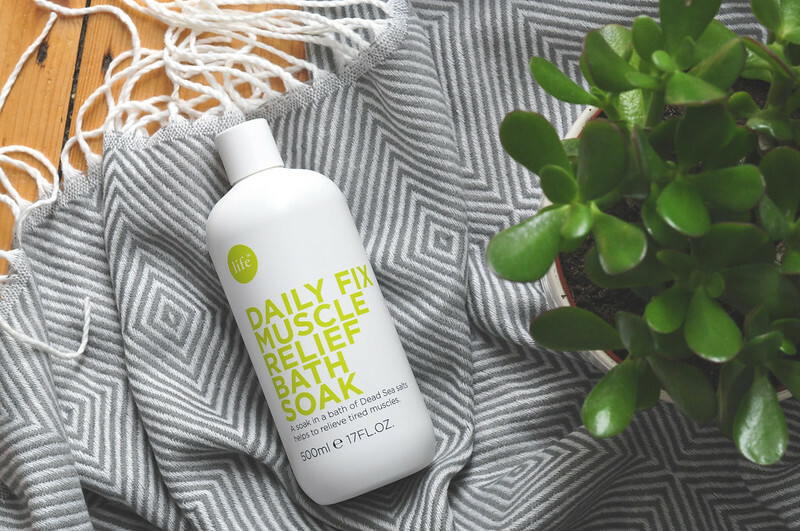 After the first use though I knew I found an alternative to Mio Liquid Yoga which I have just ran out of and since I am trying to finish all the products I currently have, I have not repurchased it. At the full price, there isn't really much difference between this and Liquid Yoga but for the sale price, it really is a bargain. The consistency of this looks more like a shower gel whereas liquid yoga is more like a runny oil. This is packed full of Dead Sea salts along with eucalyptus, peppermint, lavender, rosemary and armoise. You simply need a cap-full poured into running water to completely unwind and relax. This is the perfect pick me up mid-week or for a long soak with a good book at the weekend. The two are extremely similar. The Mio bath soak may be made up of better ingredients but at the rate I use it. it does work out quite expensive. Despite being on a spending ban of sorts, I might need to stock up on a couple of bottles while it's still on sale. It's going to save me some money in the long run by not spending £26 on Liquid Yoga. At least that's what I'm trying to tell myself! lol yea these simplistic packaging can be rather deterrent from how fab they are, ive had the muscle soak... massage in a bottle!